When you are raising the Angus cattle breed, you must understand the effect of the cattle’s temperament on their overall growth to ensure that your cattle are high producers. You need to analyse this trait even during buying seed stock since it is passed on through the generations. Once the cattle are in your care, you must further observe how the cattle react while they are in the squeeze chutes to learn further details about their temperament. Cattle temperament is how an individual male or female reacts to a challenging or new situation. Temperament of any cattle is influenced by heredity and handling. While training may improve how cattle react to daily operations, it will not influence reactions to new situations. It is difficult to identify whether the temperament of the cattle is a learned or inherited trait. For this reason, it is important to inspect the family history before purchasing male and female Angus. To assess the temperament of your cattle, you will need to place them in a squeeze-chute situation. Observe how they react while they are in the chutes to see if they are overly nervous or hyper. Also, you need to notice how quickly or slowly they leave the chutes. A slower flight time is preferable to the cattle racing out of the chutes. You can use the flight time to measure both inherent and learned temperaments. Research shows that calm cattle realise a higher weight gain in feedlots or open grazing. 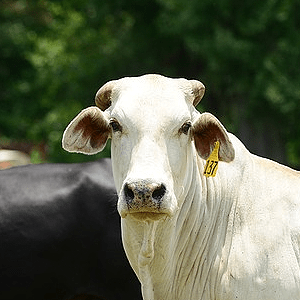 In addition, cattle with poor temperaments can suffer an increase of health issues since they react to stressful or new situations in a negative way. If you are raising cattle for meat production, you may want to cull the ones with the bad temperaments before slaughtering day since their meat will not be high quality. The reason for this is the fact that stress lowers glycogen in these animals, which causes their meat to be darker or reduces its ability to age properly. You do not want to deliver tough meat to your buyers. For further information about how temperament affects growth in the Angus cattle breed, consult with Southfork Angus. We have the knowledge and skills to raise Angus seed stock to be quiet tempered so they are easy to handle and to ensure that they also are highly fertile, reliable producers. Southfork is located conveniently on the Mornington Peninsula and serves this and the surrounding area.